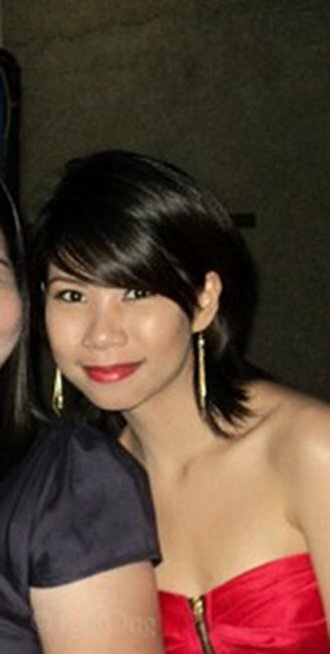 Last February 2011, I was craving to have red lips. I forgot how it all started but there I was, standing over the make up displays at Estée Lauder of Rustan’s at Gateway, wearing the Spanish Red lipstick. This is the first time I bought a red lipstick. I was too scared to buy one before because the color was so intense and I thought I couldn’t handle it. Thanks to my good friend, Carol, who was the first person to make me wear such a strong color, I realized that I actually like it! I decided to purchase a red lipstick as an investment that would eventually serve as an addition to my small make-up collection. 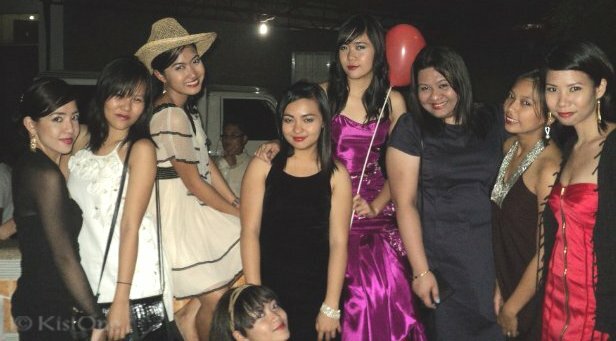 This was the reason why I HAD to find the perfect shade of red for me. After much research (Yes! 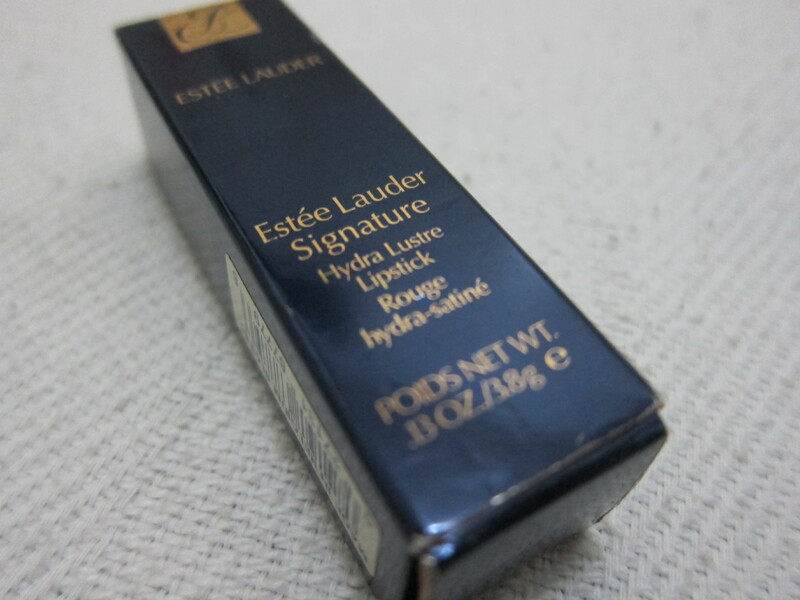 I actually read a lot of make-up reviews before purchasing any cosmetic product – and you should too), I decided to go try Estée Lauder’s Signature Hydra Lustre Lipstick in Spanish Red. This lipstick is actually orange red. 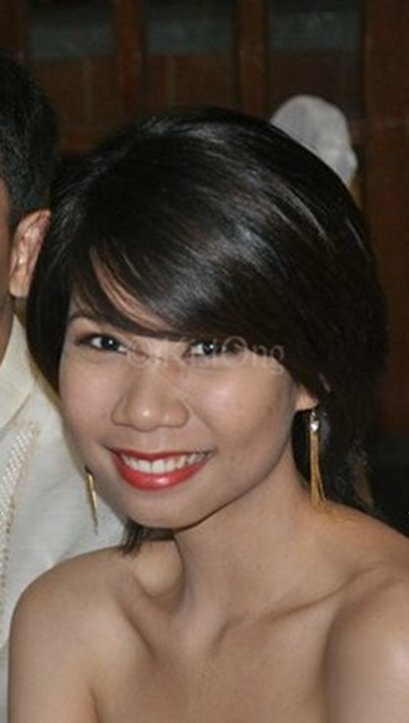 I’m an NC42 @ MAC (morena po ako), which suits me quite well. What I usually do is just pat it on my lips straight from the tube to certain areas of my lips. I then use my lipstick brush to spread the color throughout my lips. I’s that pigmented. 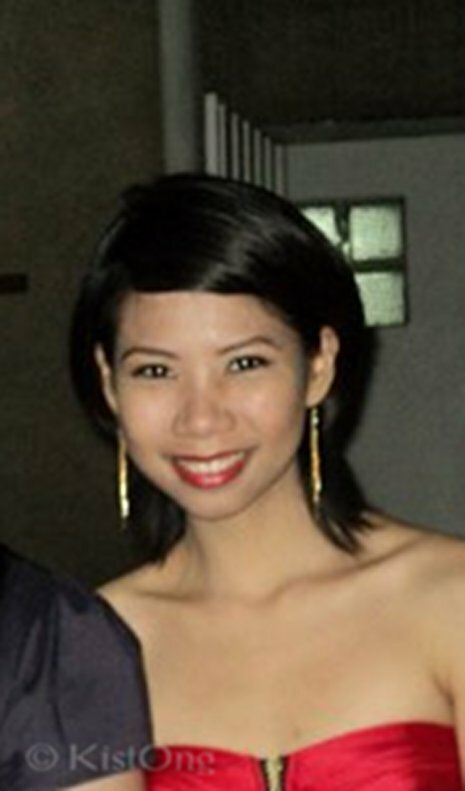 Here’s a sample photo of how it looks on me. I applied The FaceShop’s Lovely ME:EX Auto Lip Liner in Number 2 before putting the Spanish Red lippie on. 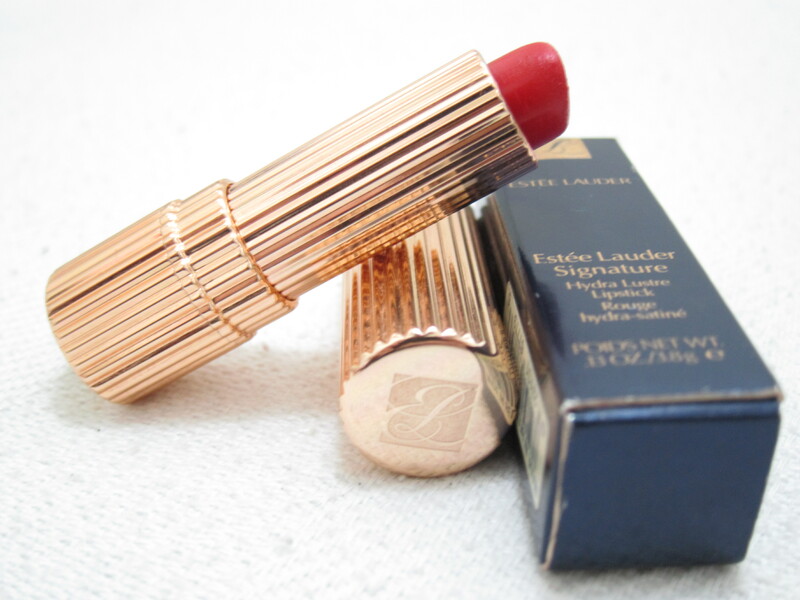 The Estée Lauder Signature Hydra Lustre Lipstick in Spanish Red has a very creamy texture. It glides on easily to the lips. It’s semi matte so no need to put lip gloss on top of it. One thing I did notice while using this is that it tends to make my lips dry after a few minutes. To counter this, best put on moisturizing lip balm before wearing the lipstick. Personally, I need to reapply any lipstick to make it stay in place and last longer. Don’t follow me. Instead, wear lip liners first before applying your lipstick. For the Spanish Red lipstick, it lasts for 4 – 6 hours. Granted nothing sticks on your lips like a drinking straw. Did it give me any side effects? There are no adverse side effects. It just makes my lips dry. Lip balm! Lip balm! Just a little note regarding the shelf life of a lipstick. 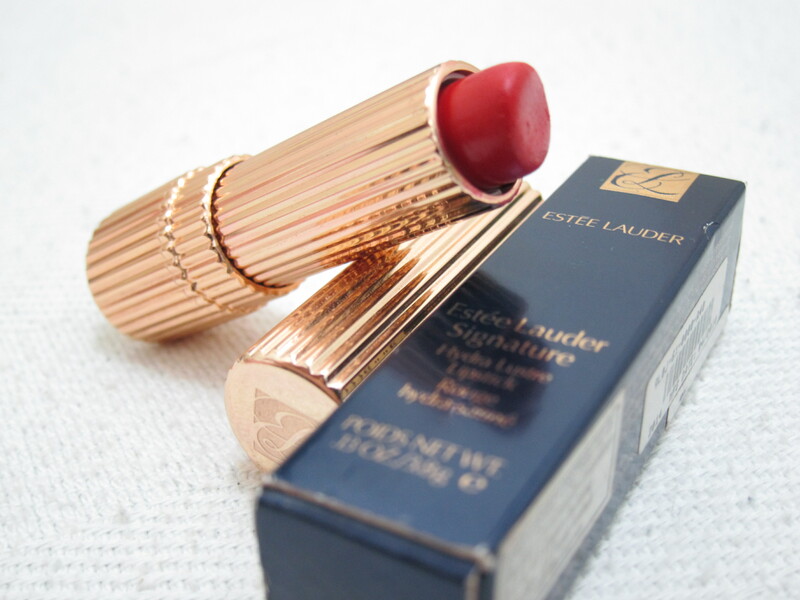 Experts say that lipsticks can be used for 1-2 years. But don’t wait for two years before you throw it out. Once you notice that it starts to smell rancid, it’s spoiled. Throw it. Very pretty shade! Suits you well! You wore the colour so well and it really suited you… love the dress too… brave colour and brave choice… it has paid off..
no wayyyyyyyyy… it looked fab… the reason why it worked is because you never over did anything else in the make up dept.. eg the eyes or blusher..